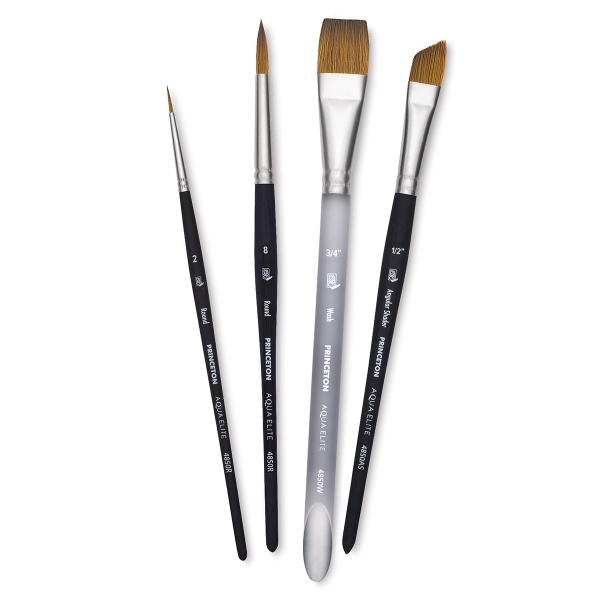 Princeton Aqua Elite Series 4850 Brushes feature synthetic brush fibers that are almost indistinguishable from natural Kolinsky in appearance, performance, and durability — at a more affordable price. 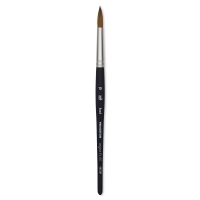 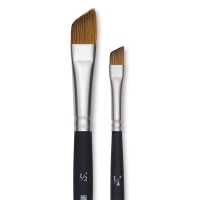 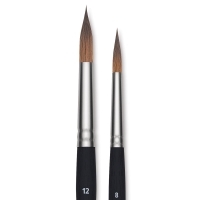 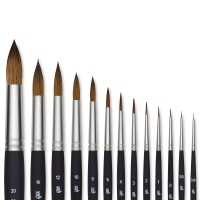 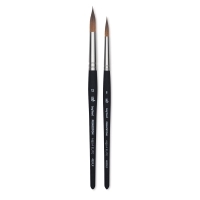 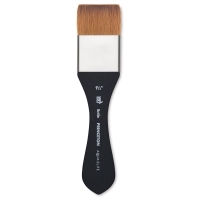 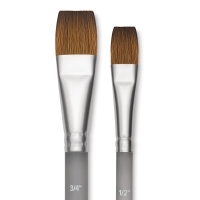 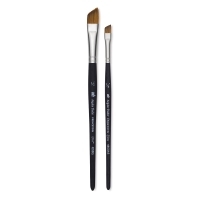 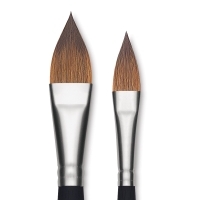 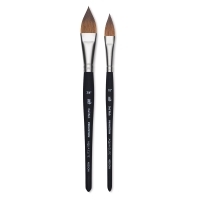 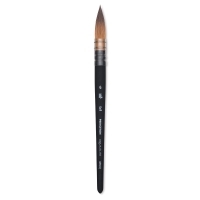 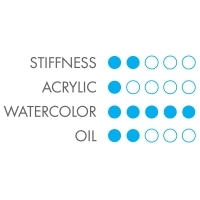 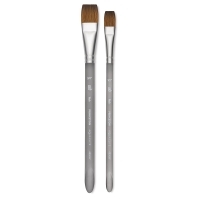 Qualities of these brushes include maximum color-holding ability, excellent shape retention, fine points and tapered edges for precise details, and comfortable handles for lengthy painting sessions. 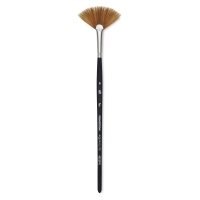 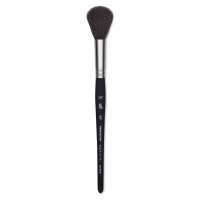 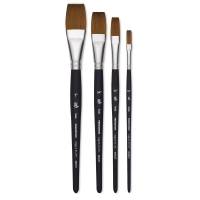 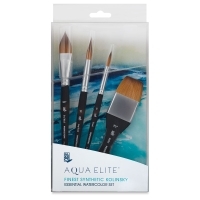 Aqua Elite Series 4850 Synthetic Sable Brushes, Set of 4 — This set includes one each of Angle Shader 1/2", Round 2, Round 8, and Wash 3/4", all with short handles. These affordably priced brushes feature Princeton’s NextGen synthetic filaments, which replicates natural Kolinsky, yet holds more paint and releases color evenly. 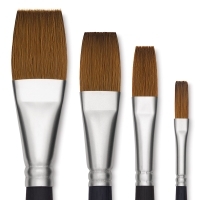 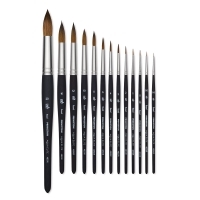 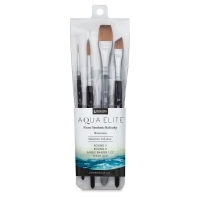 Aqua Elite Synthetic Kolinsky Sable Brushes, Box Set of 4 — This set includes one each of Round 8, Long Round 12, Mottler 1-1/2", and Oval Wash 3/4", all with short handles. These affordably priced brushes feature Princeton’s NextGen synthetic filaments, which replicate natural Kolinsky, yet holds more paint and releases color evenly.